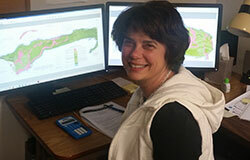 Congratulations to Jennifer S. Reese on her promotion to Project Manager. Jennifer is an exceptionally talented hydrogeologist with more than 17 years experience in water supply development; contaminant characterization, fate and transport; and aquifer analysis. She has extensive experience with the SRBC and specialized experience in analysis of ground water conditions in karst terrains.